THÉRÈSE MARTIN was born at Alençon, France on 2 January 1873. Two days later, she was baptized Marie Frances Thérèse at Notre Dame Church. Her parents were Louis Martin and Zélie Guérin. After the death of her mother on 28 August 1877, Thérèse and her family moved to Lisieux. Towards the end of 1879, she went to confession for the first time. On the Feast of Pentecost 1883, she received the singular grace of being healed from a serious illness through the intercession of Our Lady of Victories. Taught by the Benedictine Nuns of Lisieux and after an intense immediate preparation culminating in a vivid experience of intimate union with Christ, she received First Holy Communion on 8 May 1884. Some weeks later, on 14 June of the same year, she received the Sacrament of Confirmation, fully aware of accepting the gift of the Holy Spirit as a personal participation in the grace of Pentecost. She wished to embrace the contemplative life, as her sisters Pauline and Marie had done in the Carmel of Lisieux, but was prevented from doing so by her young age. On a visit to Italy, after having visited the House of Loreto and the holy places of the Eternal City, during an audience granted by Pope Leo XIII to the pilgrims from Lisieux on 20 November 1887, she asked the Holy Father with childlike audacity to be able to enter the Carmel at the age of fifteen. On 9 April 1888 she entered the Carmel of Lisieux. She received the habit on 10 January of the following year, and made her religious profession on 8 September 1890 on the Feast of the Birth of the Blessed Virgin Mary. 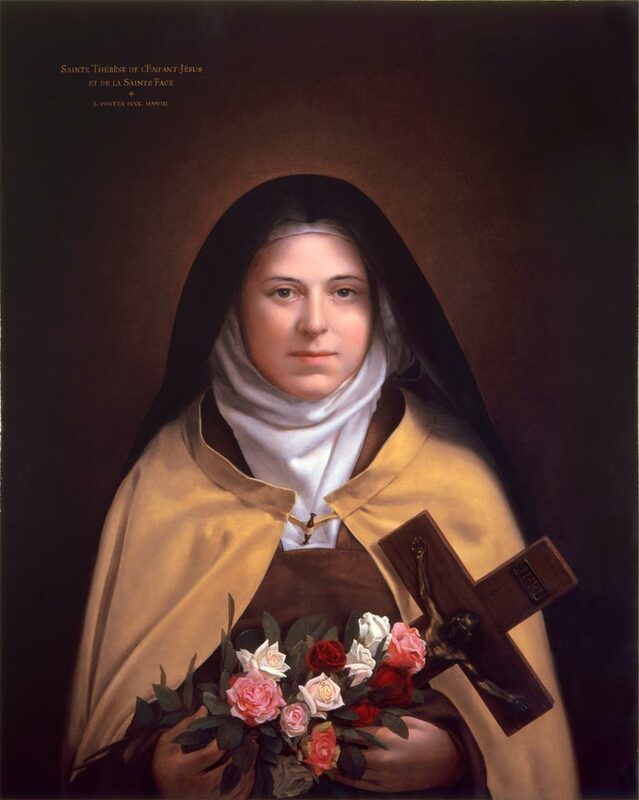 In Carmel she embraced the way of perfection outlined by the Foundress, Saint Teresa of Jesus, fulfilling with genuine fervour and fidelity the various community responsibilities entrusted to her. This unique relic from the infirmary of where she died–a simple brick from its foundation–attests to the love this young woman garnered. Considered to be the most loved saint of the 20th century, anything associated with her becomes cherished and beloved. Her faith was tested by the sickness of her beloved father, Louis Martin, who died on 29 July 1894. Thérèse nevertheless grew in sanctity, enlightened by the Word of God and inspired by the Gospel to place love at the centre of everything. In her autobiographical manuscripts she left us not only her recollections of childhood and adolescence but also a portrait of her soul, the description of her most intimate experiences. She discovered the little way of spiritual childhood and taught it to the novices entrusted to her care. She considered it a special gift to receive the charge of accompanying two “missionary brothers” with prayer and sacrifice. Seized by the love of Christ, her only Spouse, she penetrated ever more deeply into the mystery of the Church and became increasingly aware of her apostolic and missionary vocation to draw everyone in her path. On 9 June 1895, on the Solemnity of the Most Holy Trinity, she offered herself as a sacrificial victim to the merciful Love of God. At this time, she wrote her first autobiographical manuscript, which she presented to Mother Agnes for her birthday on 21 January 1896. Several months later, on 3 April, in the night between Holy Thursday and Good Friday, she suffered a haemoptysis, the first sign of the illness which would lead to her death; she welcomed this event as a mysterious visitation of the Divine Spouse. From this point forward, she entered a trial of faith which would last until her death; she gives overwhelming testimony to this in her writings. In September, she completed Manuscript B; this text gives striking evidence of the spiritual maturity which she had attained, particularly the discovery of her vocation in the heart of the Church. 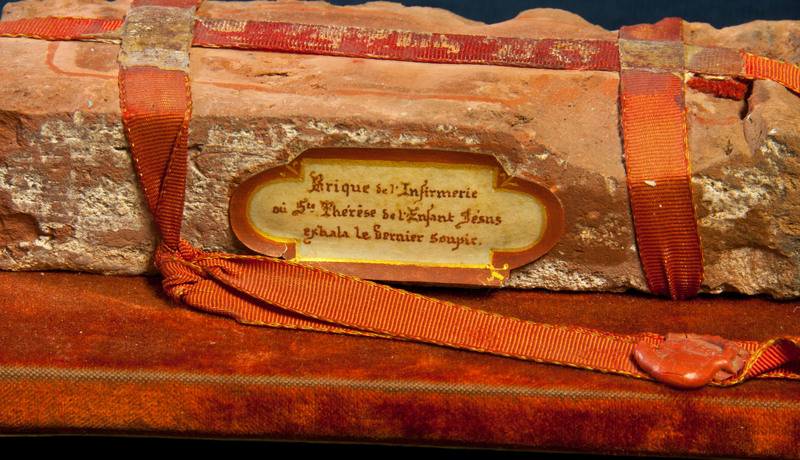 While her health declined and the time of trial continued, she began work in the month of June on Manuscript C, dedicated to Mother Marie de Gonzague. New graces led her to higher perfection and she discovered fresh insights for the diffusion of her message in the Church, for the benefit of souls who would follow her way. She was transferred to the infirmary on 8 July. Her sisters and other religious women collected her sayings. Meanwhile her sufferings and trials intensified. She accepted them with patience up to the moment of her death in the afternoon of 30 September 1897. “I am not dying, I am entering life”, she wrote to her missionary spiritual brother, Father M. Bellier. Her final words, “My God…, I love you!”, seal a life which was extinguished on earth at the age of twenty-four; thus began, as was her desire, a new phase of apostolic presence on behalf of souls in the Communion of Saints, in order to shower a rain of roses upon the world. She was canonized by Pope Pius XI on 17 May 1925. The same Pope proclaimed her Universal Patron of the Missions, alongside Saint Francis Xavier, on 14 December 1927. Her teaching and example of holiness has been received with great enthusiasm by all sectors of the faithful during this century, as well as by people outside the Catholic Church and outside Christianity. On the occasion of the centenary of her death, many Episcopal Conferences have asked the Pope to declare her a Doctor of the Church, in view of the soundness of her spiritual wisdom inspired by the Gospel, the originality of her theological intuitions filled with sublime teaching, and the universal acceptance of her spiritual message, which has been welcomed throughout the world and spread by the translation of her works into over fifty languages. Mindful of these requests, His Holiness Pope John Paul II asked the Congregation for the Causes of Saints, which has competence in this area, in consultation with the Congregation for the Doctrine of the Faith with regard to her exalted teaching, to study the suitability of proclaiming her a Doctor of the Church. On 24 August, at the close of the Eucharistic Celebration at the Twelfth World Youth Day in Paris, in the presence of hundreds of bishops and before an immense crowd of young people from the whole world, Pope John Paul II announced his intention to proclaim Thérèse of the Child Jesus and of the Holy Face a Doctor of the Universal Church on World Mission Sunday, 19 October 1997.